As a MPF service provider in Hong Kong, the Investment Manager offers a diversified suite of Constituent Funds under the Haitong MPF Retirement Fund which covers global, Asia Pacific and Hong Kong equity and bond markets. 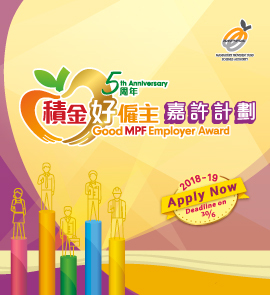 The MPF information provided on this web page is for reference only, which may be subject to adjustment or correction from time to time without any notice. The information provided above should not be regarded as investment advice, the value of units may go down as well as up, past performance is not indicative of future performance. You should not rely on the above information when making any investment choices for your MPF account(s). “Constituent Funds" is defined in the Explanatory Memorandum as "a separate pool of assets of the Retirement Fund, which is invested and administrated separately from other assets of the Retirement Fund. In particular, the Constituent Funds under the Retirement Fund include Haitong MPF Conservative Fund, Haitong Korea Fund, Haitong Asia Pacific (excluding HK) Fund, Haitong Hong Kong SAR Fund, Haitong Global Diversification Fund, Haitong Core Accumulation Fund and Haitong Age 65 Plus Fund. With effect from 19 September 2012, offer spread is not levied on the issue of units. With effect from 1 April 2017, the existing default investment arrangement of the Retirement Fund will be replaced by the Default Investment Strategy (DIS), as stipulated in accordance with the Mandatory Provident Fund Schemes Ordinance. Please read the Offering Documents of the Retirement Fund for further details (including risk factors, fees & charges and fund information) before you make investment decisions. Using MPF e-service, employers and members may manage their accounts in our MPF scheme more easily. To login / register for the e-service or view the related demo / security information, please click the “Login” icons below. P.O. Box 73448, Kowloon Central Post Office, Hong Kong.